Edinburgh has room for only one queen. You will recall that I was proclaimed Queen of Dalriada at Dunadd in Argyll which entitles me to do pretty much whatever I damn well please. Yet, I soon realized otherwise the day we decided to visit the Palace of Holyroodhouse, the grand turreted structure with requisite ruined abbey built in the 15th century and standing near the new modern Parliament building at the end of the Royal Mile, as that other “queen”, Queen Elizabeth II, from Londontown, is in Edinburgh for the week to perform her annual royal functions in Scotland, including opening Parliament. 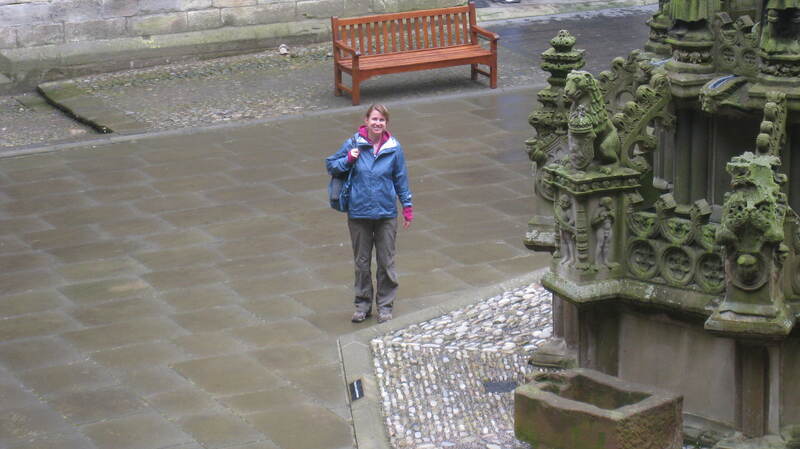 So Holyrood is closed, even to queens of a mystical dominion from centuries ago, while Bess Number 2 is here. Granted, she is Her Majesty Elizabeth the Second, by the Grace of God, of the United Kingdom of Great Britain and Northern Ireland, and of Her other Realms and Territories, Queen, Head of the Commonwealth, Defender of the Faith, and a bunch of other stuff. The first Queen Elizabeth was a little happy with the chopping block and I didn’t want to give this one any ideas, so I quietly stepped aside. But still, hmph! 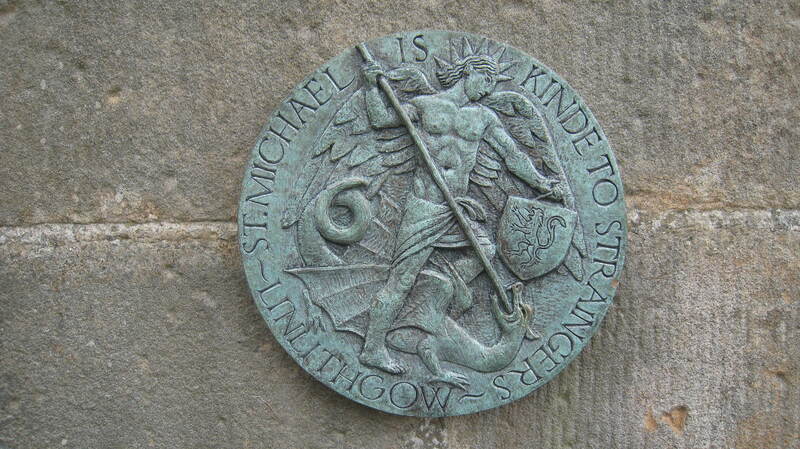 Forty-five minutes away by train from Edinburgh and just as regal as Holyrood is the next best thing: Stirling Castle. Stirling Castle was James V’s pleasure palace during the English Renaissance, the site of the coronation of Mary Queen of Scots, the place where James VI of Scotland and I of England spent his formative years and the original royal center for the Stewart dynasty. 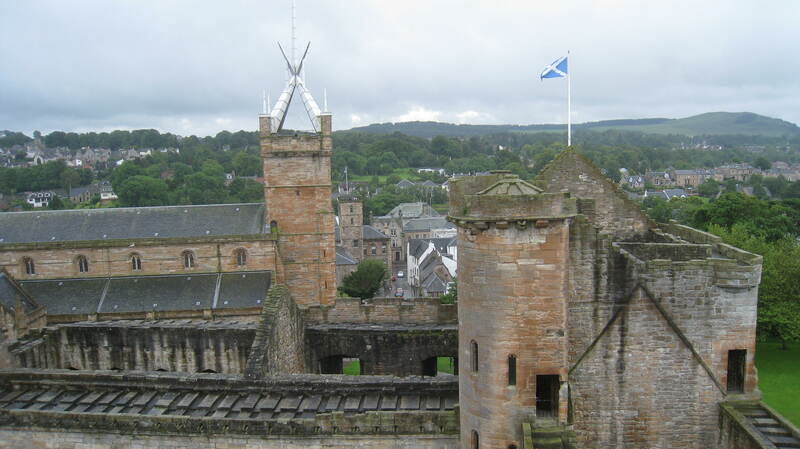 The castle overlooks the site of the famous battle where William Wallace and his ragtag Scottish troops defeated the English forces of Edward I in 1297. With its monarchical and historical pedigree intact, I thought it would be the ideal place for a queenly visit. Alighting from the train we walked up the hill toward the castle, passing though barricaded streets with police in florescent yellow vests standing every 20 feet. Why on earth are there so many police here, we thought? Was there to be a parade? 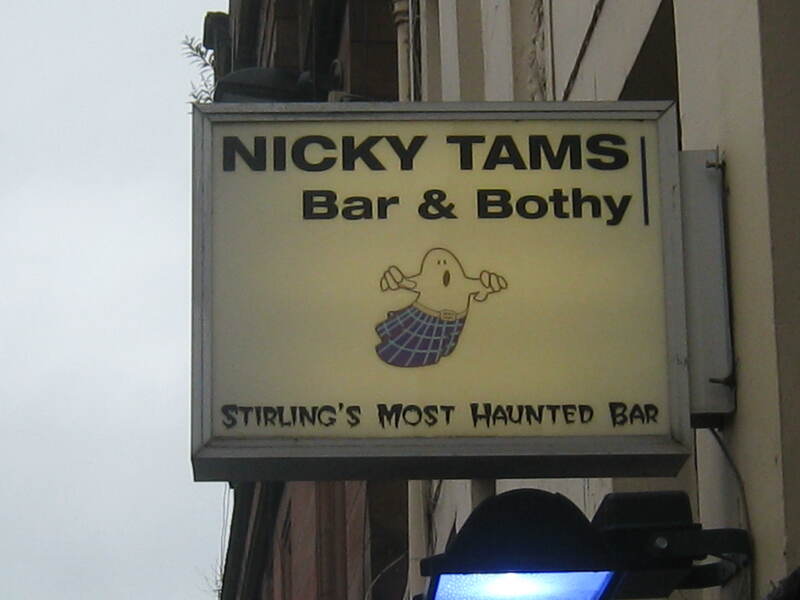 Is Stirling rife with crime? Are they practicing crowd control? Or did they by chance know that I was coming and knew my fans would require corralling lest they go into a frenzy at the mere sight of me? Puzzling, it was. More importantly, it has a palace, which has seen better days, mind you, and this palace was not on Her Majesty’s itinerary. But it does have a connection to another queen, and her memory welcomed us to a visit. 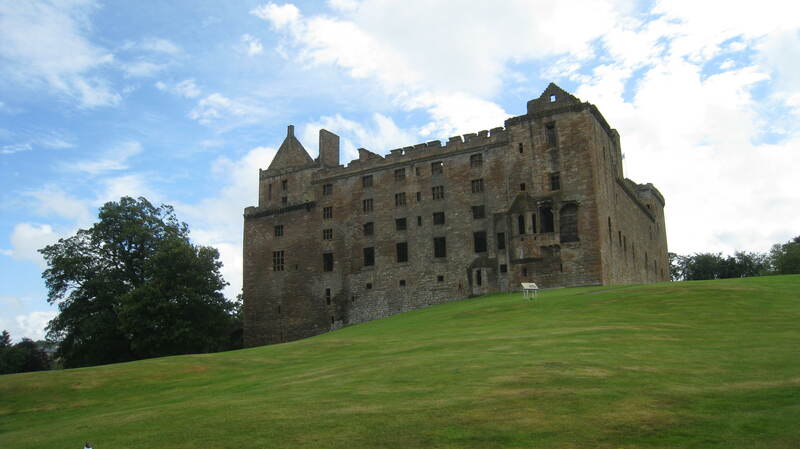 Linlithgow Palace is the birthplace of our welcoming queen, Mary Queen of Scots. It was also the birthplace of her father, James V, but his tale is less harrowing and romantic than his daughter’s. Mary had a tough go at it. She never knew her father, James V, as he died six days after her birth. She was married three times, and widowed twice. She gave birth to a son, who went on to become James VI of Scotland and I of England, but never saw him again after she was forced to abdicate the throne in favor of him. She spent part of her life in France, and much of it in captivity, and after 19 years of lock-up was executed under the order of her cousin, Queen Elizabeth I, for being a rival to the throne. But, her early years at Linlithgow before heading off to Stirling must have been sumptuous – richly colored tapestries of lions and unicorns bedecking the walls, ceilings painted in red and gold and adorned with roundels containing animals both real and fantastic, gorgeous stained glass windows, one designed specifically to let in light “every color of the rainbow,” and a fireplace in every room. 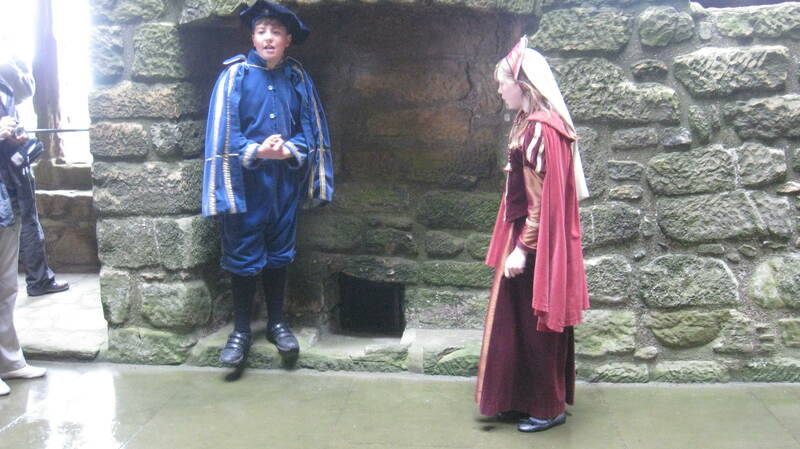 We joined a tour, which was conducted by two twelve-year-olds dressed in period costume. They were very cute, took their roles seriously and were quite concerned about getting the facts right. They took us through the highlights of the ruin, the most impressive being the Great Hall with attached kitchen, and the long dining hall with three floors of apartments above which were built for the guardians of the palace. However, these guardians and their families became homeless any time the monarch decided to come-a-calling to the palace, for the king and queen didn’t travel light. The palace still has five towers that we were able to walk up and gain access to the entire structure, save for a few areas that Health and Safety deem too dangerous. The Great Hall. Imagine the banquets that took place here! It was easy to get lost. 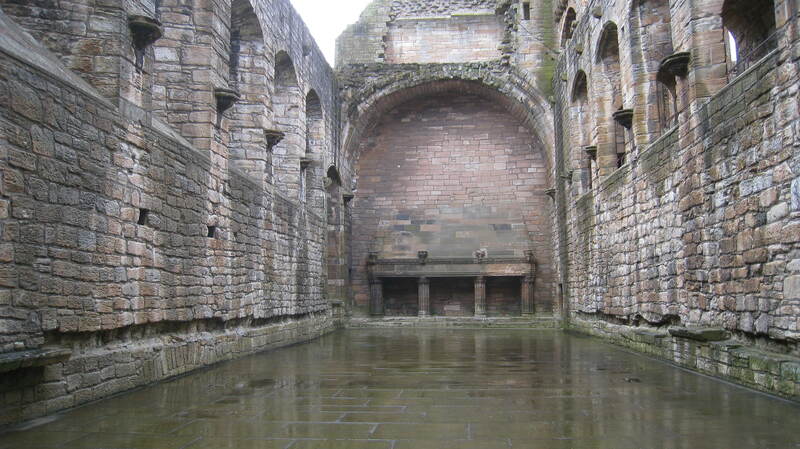 I walked the narrow staircase up one tower, traversed the north wing, entered a few small chambers, turned back and thought I had descended the same flight of stairs I took up only to find myself in the courtyard, facing the fountain and kitty-cornered from where I had started. Low-blood sugar must have been the culprit (the queen never makes a mistake, you see) so we tucked into our packed lunch by Chef Steve on The Peel, the green outside the palace overlooking the calm loch, where we were joined by strange-looking birds waiting to pounce on our crumbs the moment we stepped away. We ended the day with a stop in the Four Marys, a dwelling house built in the 1500s now lovely pub and restaurant named after the four ladies-in-waiting of Mary Queen of Scots. It is a CAMRA-recognized pub and had plenty of good real ales on offer. Overall, a day fit for a queen. And I still have my head. Tried to get a good photo of the girl. She kept looking away. Detail of stone roundel in the King’s Apartment. Only a few still exist in the palace. Steve spotted this smiling face. It is in great shape. The name Linlithgow is familiar because there is a Lake Linlithgow near Hamilton in western Victoria. It must have been interesting to see all over the palace. Unfortunately the upkeep for such buildings became too expensive. At least those built of stone have lasted so what is left of them can be explored. 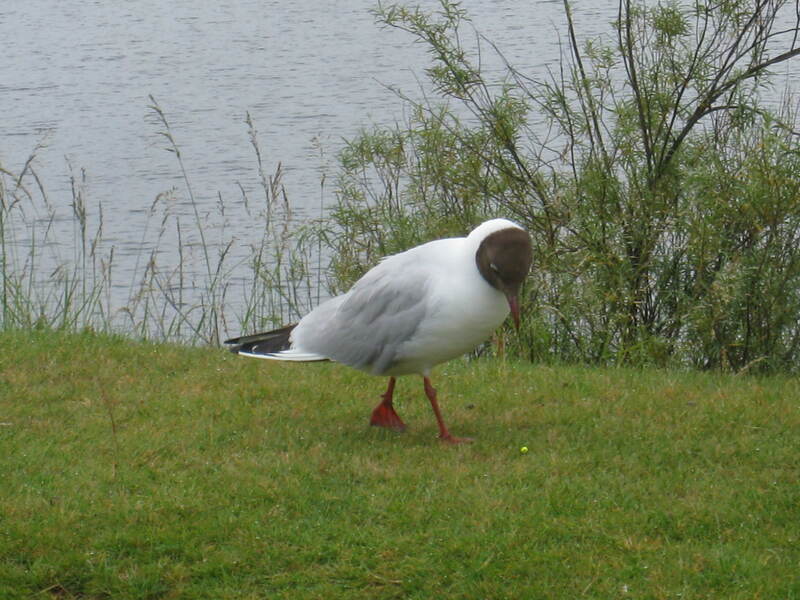 I think that the bird in your photograph was a black-headed gull. There was a song about the Four Marys. 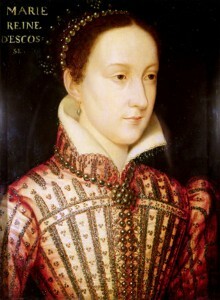 One of Mary Queen of Scots ladies-in-waiting was Mary Hamilton. She killed her illegitimate baby and was executed. Poets do use poetic licence and might not use the facts if they do not improve the story. In the song about the four Marys they were named Beaton, Seton, Carmichael and Hamilton. The first two were correct while the other two were named Fleming and Livingston. However, the Queen did have other ladies-in waiting, two of whom were named Mary Carmichael and Mary Hamilton. The song then used the fate of a later Mary Hamilton to give it more impact. In 1719 during the reign of Peter the Great, Mary Hamilton was executed in Russia for infanticide. A Scottish minstrel must have decided to use that event to apply to the Mary Hamilton of Mary Queen of Scots retinue. The Scots often had tales of murder in their songs and poems. At school I read ‘Edward, Edward” and ‘Twa Corbies’ which came from the Scottish border and were about murder and treachery.